Kingston unveils the world's first 256GB USB flash drive. It is the largest capacity USB drive. The Kingston DataTraveler 300 is ideal for netbook users who want to extend the limited capacity of their machines. It can also be used by business consumers who work with large databases, or even designers who need to transfer large graphic files from one place to another. The DataTraveler 300 will enable users to carry huge volumes of data with them everywhere they go - up to 365 CDs for example. That's one album for every day of the year, and it demonstrates how far flash technology has developed. 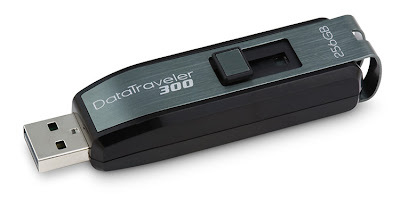 The Kingston DataTraveler 300 features a sleek cap-less design that will protect the USB connector when it is not in use and is enhanced for Windows Readyboost. The Kingston DataTraveler 300 is available only in 256GB and is backed by a five-year warranty. Finally, this is what I have been waiting for. The Gigabyte TouchNote and the Gigabyte Booktop are now available in the U.S. 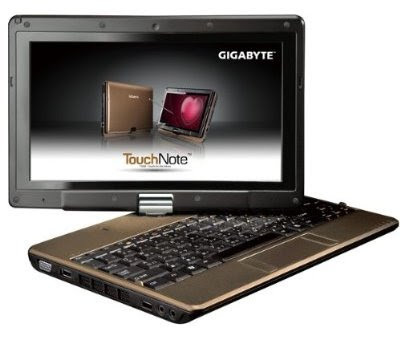 The Gigabyte TouchNote T1028 netbook is a touchscreen netbook that competes with Asus Eee PC T91 and Intel Classmate PC 3. Buy the Gigabyte TouchNote here. Buy the Gigabyte Booktop M1022 10.1" here (Amazon discounted price). 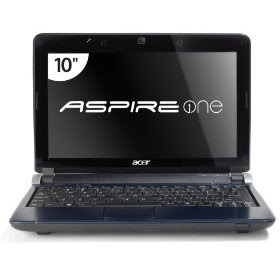 The Acer Aspire One 10.1 LCD 1.6Ghz Netbook works for any one who loves traveling lightly. It weighs less than 3 lbs and has a 6-cell battery that could last up to 5 hours of using. * The 1.6GHz Intel Atom N270 Processor combines performance, power and efficiency to explore the Internet and stay connected while mobile. * 6-cell battery provides up to 6 1/2 hours of battery life for extended use and productivity when away from an AC outlet. Buy: Acer Aspire One 10.1" LCD, 160GB HDD, 1GB RAM Laptop Computer - Red Color. Sony doesn't want its new 10.1 inch product be called netbook. The new Sony Vaio W is labelled as "internet book", instead of the usual netbook that most companies use.